Well Michiganders, it’s that time again. When it comes to winter, it conjures up some very polarizing reactions. There are those who embrace the brisk winds & the inevitable fluffy snowflakes that will fall to the ground, & then there are those who would rather stay inside to take refuge in their own comfort. Whether you’re a fan of the cold or a winter hibernator, there’s one thing we can all agree on; winter is a time for hearty, stick-to-your-ribs food, with plenty of flavor to warm you up from the inside out. We at Anna’s House couldn’t agree more! This season we were inspired by a few cultural delicacies that’ll be sure to brighten any winter blues or cabin fever that might be settling in. So get cozy & get ready to take a mini staycation with us! We start our culinary adventure in India, and for anyone looking to really fill their bellies this winter, look no further. Curry is a hearty dish that packs tons of complex flavors & doesn’t skimp on the fixins’. Fun fact: curry doesn’t actually refer to a specific dish. It’s more of an umbrella term for dishes originating from India that use a variety of spices & herbs to create a sauce or gravy. There are no shortages of curries out in the world, ranging from sweet & spicy, to savory & robust, & we decided to try our hand at one. This delicious Indian inspired dish features our house-made butternut squash curry, with creamy coconut milk & tomato sauce, & plenty of aromatic spices. Served atop a bed of jasmine rice & steamed kale, sprinkled with chopped bacon & finished off with two basted eggs. Ditch the bacon & eggs to make this dish completely vegan! Just a hop, skip & a jump to the west, we find our next piece of inspiration in France! 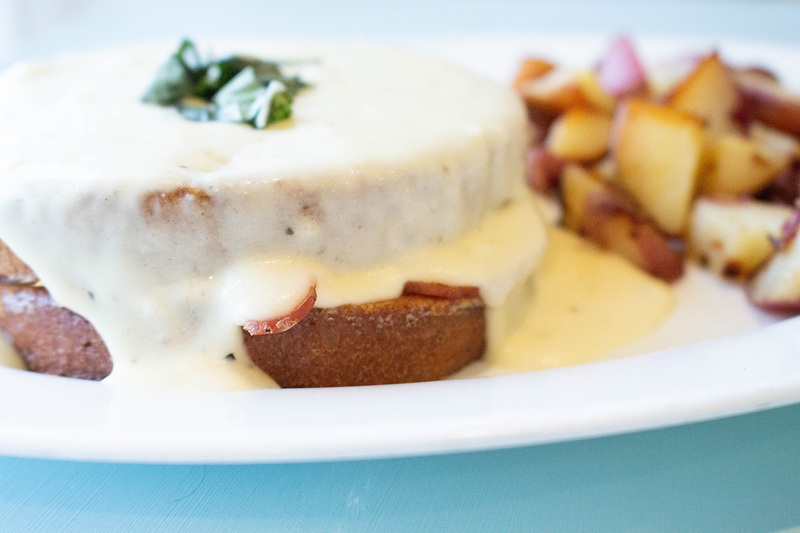 Say hello to our Béchamel French Toast. This mouthwatering creation is in close relation to a traditional French snack, called the Croque Monsieur (Translated to English, that means Mr. Crunch). 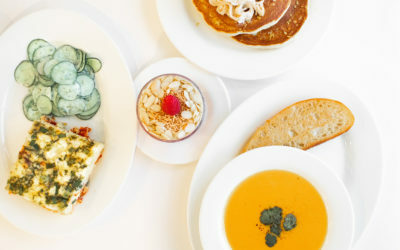 The Croque Monsieur originated in cozy little French cafes for the patrons to grab a quick bite to eat, and remains a staple of French diets today. Our version of this tasty sandwich stays true to its ancestral roots, with thick cut French bread, ham & Swiss cheese, but features an Anna’s twist; our house-made béchamel sauce. 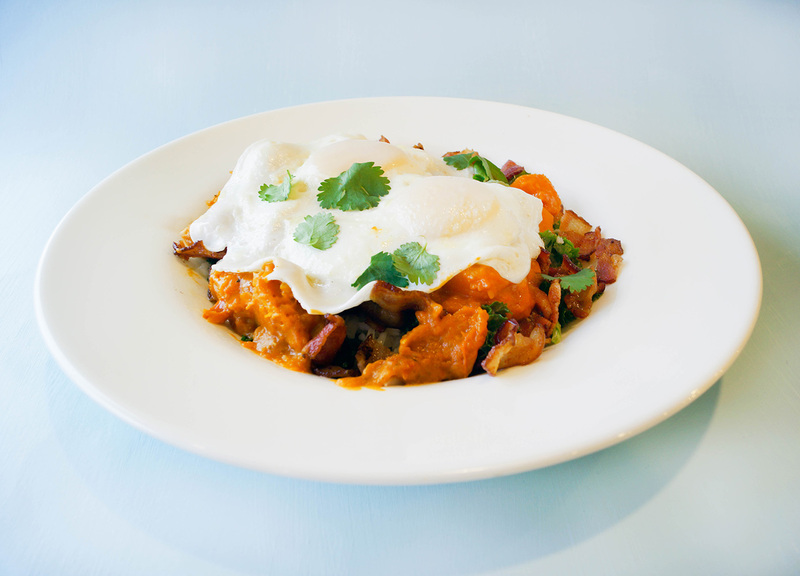 Pair this with a side of potatoes, and you’ll have a magnifique brunch! Gingerbread has such an iconic flavor that can be recognized far and wide. It’s able to lend itself to a variety of different forms as well. From festively dressed gingerbread men to cakes and loafs, this sweet and spicy taste always pops up as soon as the temperature goes down. With warm flavors of ginger, cloves, nutmeg, and cinnamon, it’s no surprise that this has remained a traditional holiday dish! 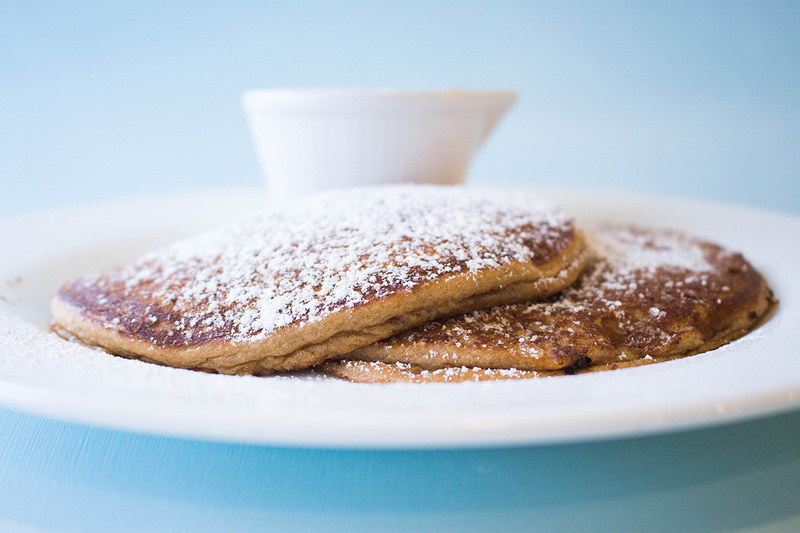 We packed all of these delicious spices into two fluffy, made-from-scratch pancakes. 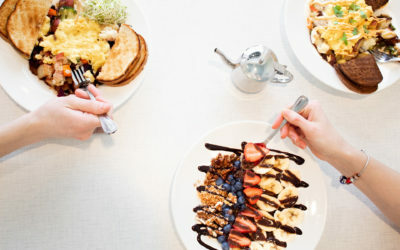 Served with a side of our house-made ginger syrup and sprinkled with powdered sugar, this is a go-to snow day breakfast. P.S. 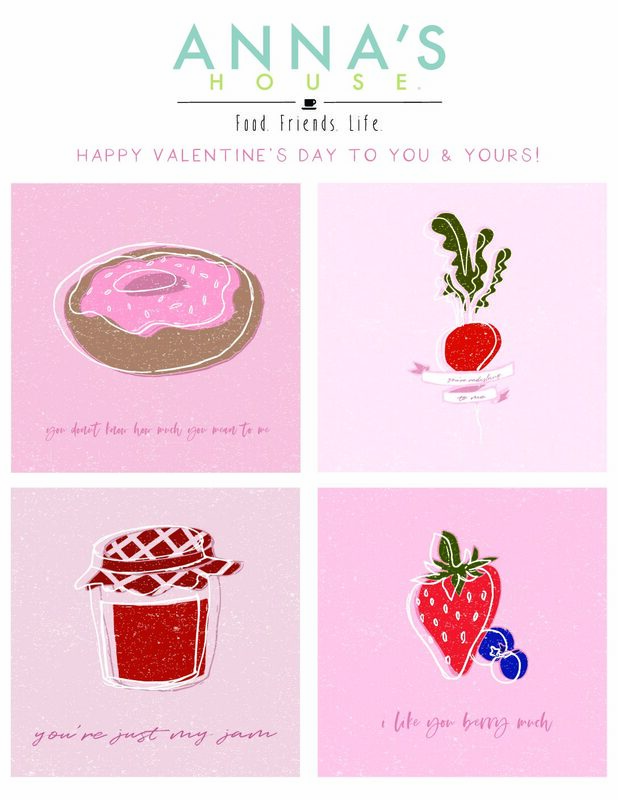 They’re also vegan & gluten-free! 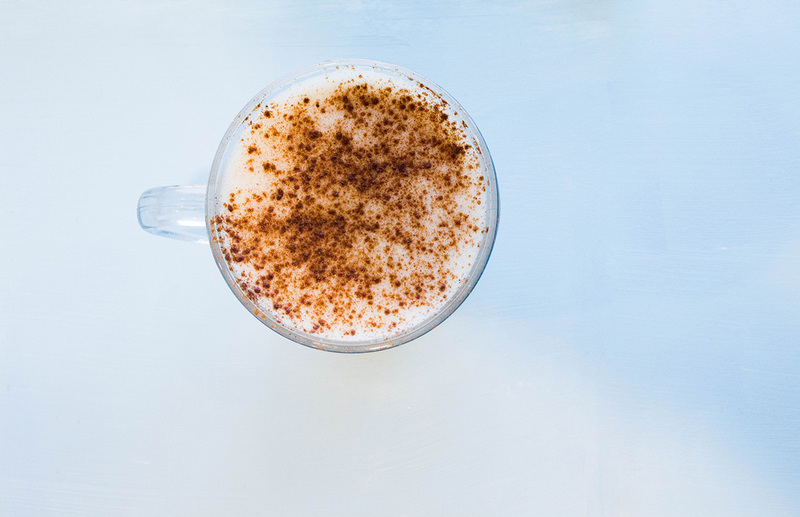 Chai is an essential for winter, and we’ve started making our own! That’s right, we now create our own house-made chai for our Chai Tea Lattes! 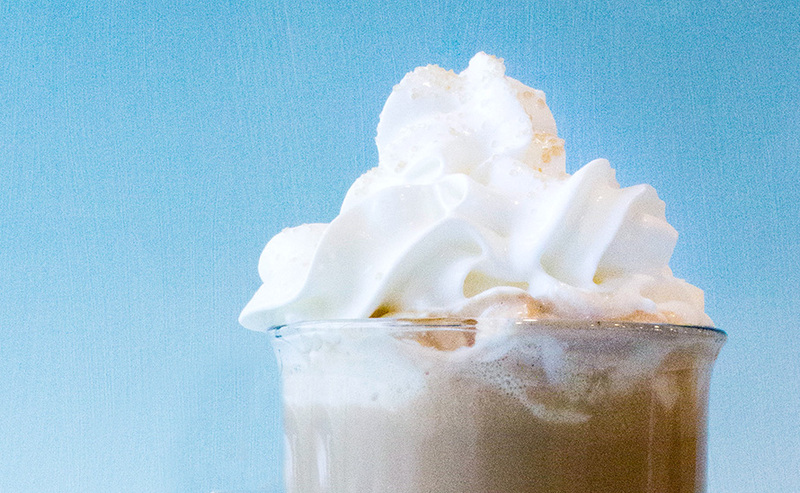 The perfect holiday treat for any sweet tooth, this latte features flavors of vanilla & créme brûlée, topped with whipped cream and sprinkled with sugar. So bundle up and head on over to Anna’s to enjoy our new winter features! We’d love to hear what you think of our new features, so be sure to tag your photos #myannashouse! Sign up to get a $5 coupon off $25!